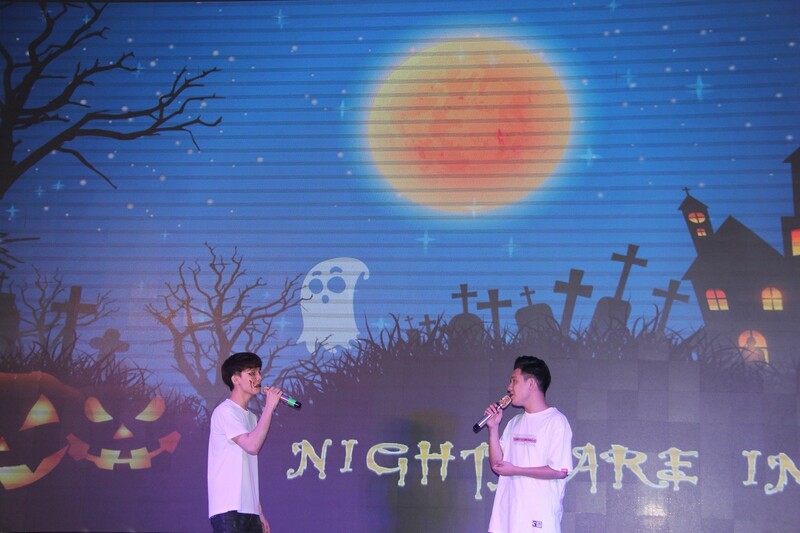 In the evening of 26th October, at the Concert hall, Executive Committee of Youth Union, Student Union of the National University of Art Education coordinated with OCEAN EDU Center took place a Halloween festival 2018 with theme of “A Nightmare in NUAE”. 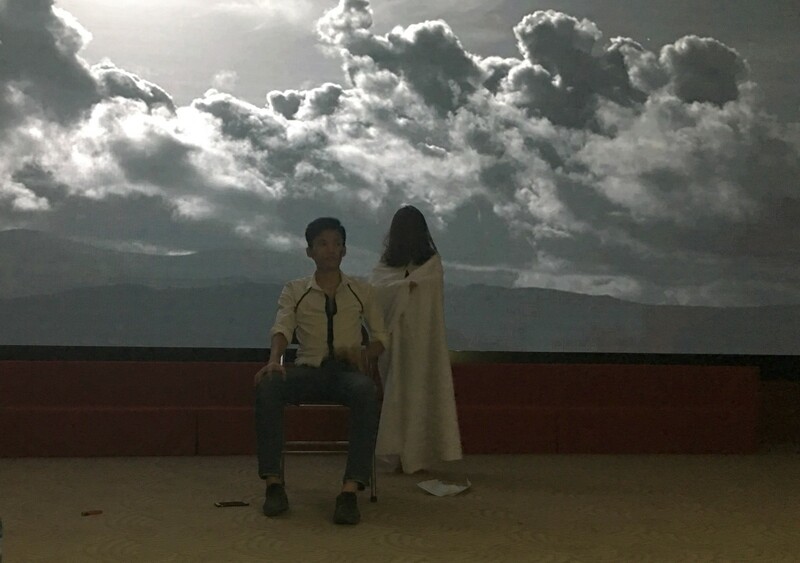 This was a chance for students to comminicate, understand the Western festival culture and improve their dynamic and creation. 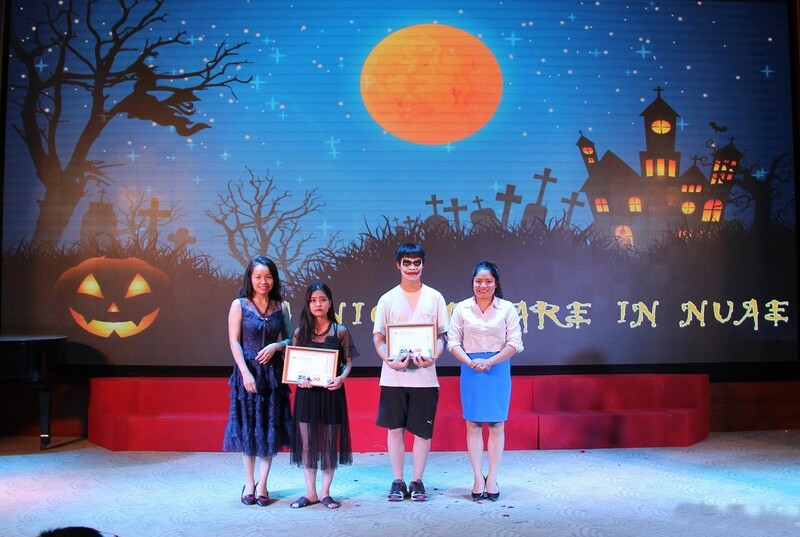 At the festival, on behalf of OCEAN EDU Center there was Mrs. Le Thi Dung - Director of the Center. 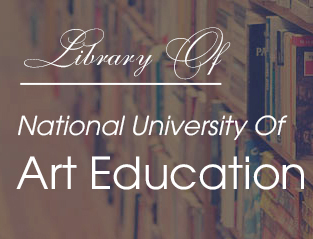 On behalf of the National University of Art Education, there were members of Executive Committee, lecturers and students. 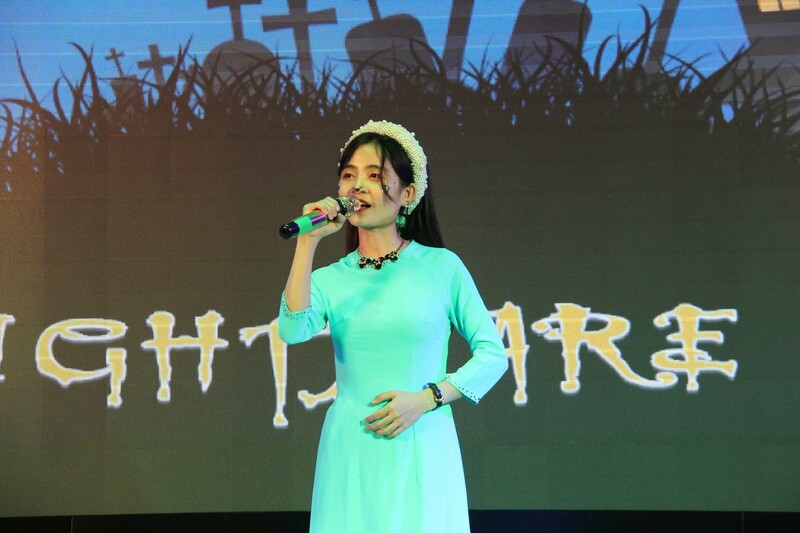 Halloween is not official cultural activity of Vietnam, however, with the global cultural integration and the resonant penetration of traditional Western culture, Halloween has been penetrated into Vietnam and especially loved by young people. 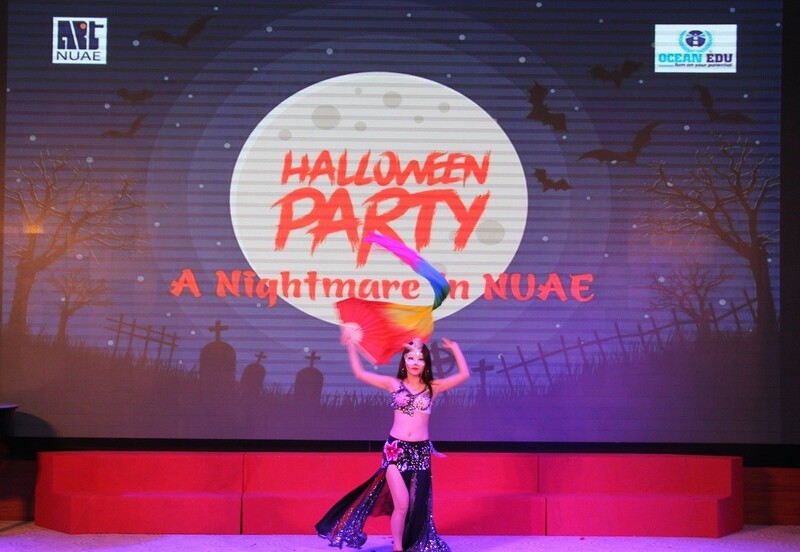 Halloween 2018 with the theme "A Nightmare in NUAE" was held at the National University of Art Education in large scale, where the teams undergo a contest to select one of two categories: Halloween Fashion show in various themes such as Mystery of the Night, Three Realms, Death, Nine Hells, Rebirth and Halloween Got Talent in various forms: singing, dancing, skits, ect. 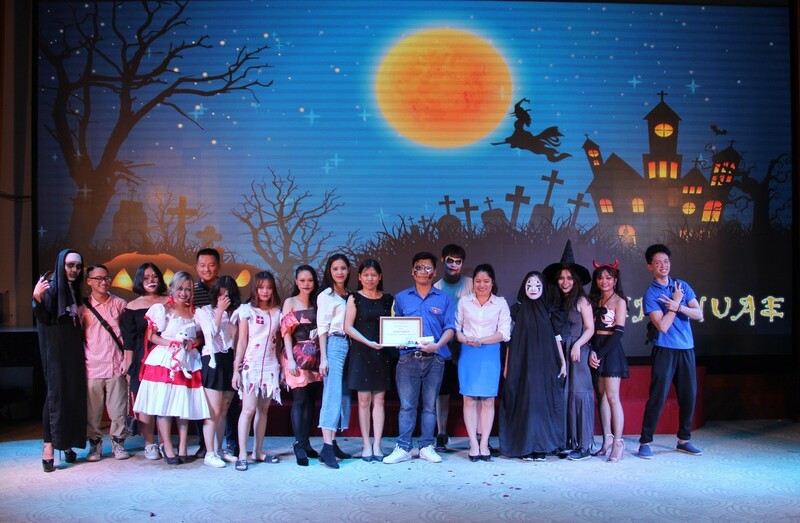 Along with the festive atmosphere of the festival and the burning desire to express students themselves, all of them have created a festive and colorful Halloween. 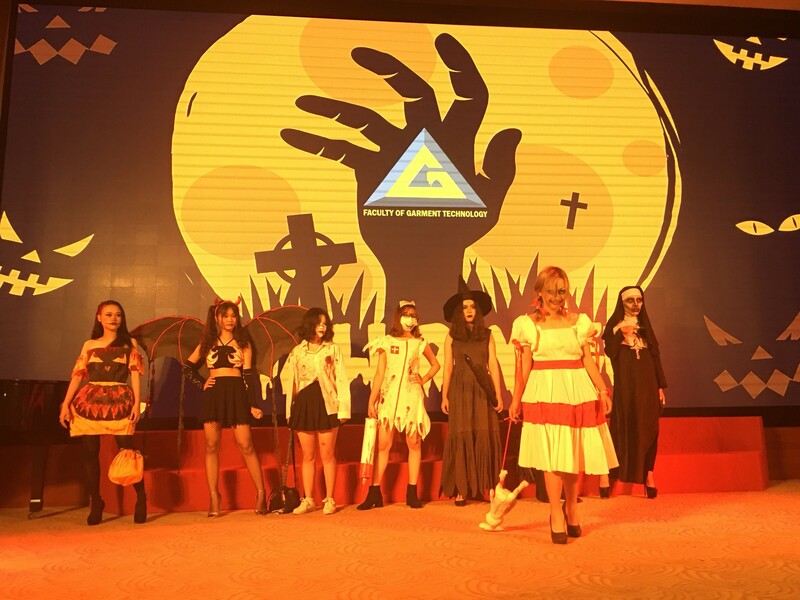 The teams brought to the audience scary images, but also full of creativity. 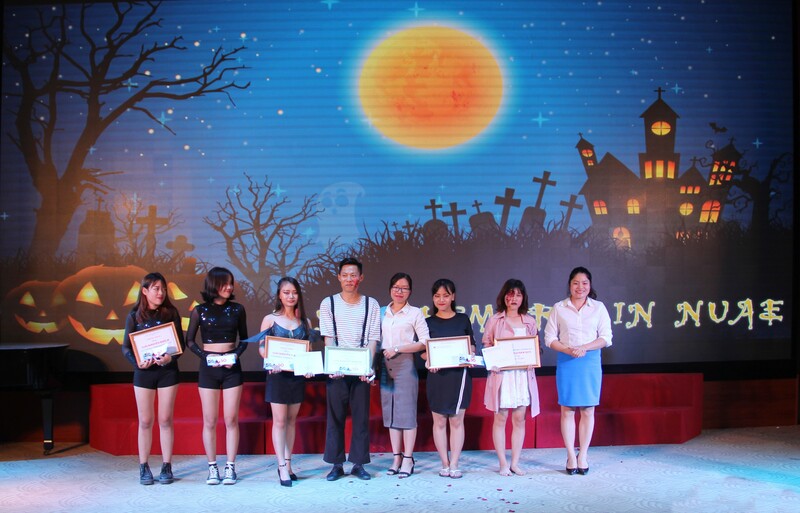 Applause, cheer of the students made the atmosphere of the festival more and more exciting. 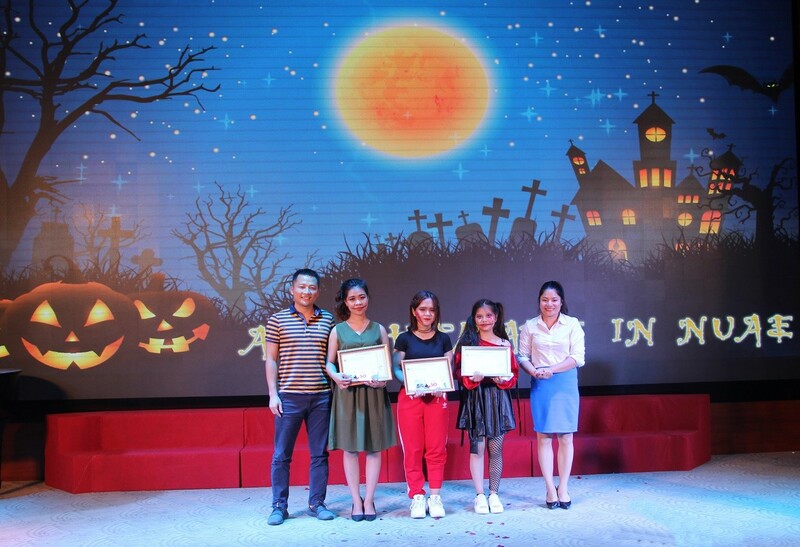 At the end of the program, the jury awarded 1 First Prize, 2 Second Prizes, 3 Third Prizes, 5 Consolation Prizes for the performances.